Explore NBC News' immersive 360 videos and virtual reality events. How to watch 360 videos: Click or tap on the video player screen and use your mouse or finger to turn the camera in all directions. For iPhones, the experience is best viewed via the YouTube app. We join Key West resident Jennifer Stauffer as she returns home for first time since Hurricane Irma hit and also explore the hard hit Garrison Marina. Take in the spectacular solar eclipse from the deck of the USS Yorktown in South Carolina. WATCH: Get a 360 look inside a puppy-filled TODAY studio! TODAY’s beloved puppy with a purpose, Charlie, reunited with his five sisters and their mom and dad. It is the first time the whole family has been together since last summer, and they’re all making strides toward becoming guide and service dogs. Check out a 360-degree video below, and watch the full segment here. Experience what it was like to drive down Seventh Ave. and through Times Square as Winter Storm Stella hit New York City. Travel along the route of the Women’s March in Washington D.C., virtually experiencing the emotions, music and landmarks amid hundreds of thousands of demonstrators. Donald Trump takes office as the 45th president of the United States at the U.S. Capitol Building in Washington, D.C.
Watch the livestream on Facebook here, then just move your phone or click-and-drag with your mouse to explore the historic scene from all angles. Catch more of NBCNews.com's Inauguration coverage here. Beautiful autumnal colors persist throughout and above the Bartlett Arboretum in Stamford, Connecticut despite the drought-like conditions of the summer of 2016. Bartlett Arboretum C.E.O Jane von Trapp gives us a tour and while some leaves have dropped earlier than normal, the annual display of fall is in full peak , with cool air and shorter days to follow. Go inside Fort Delaware, which housed nearly 33,000 Confederate prisoners during the Civil War. About 2,500 prisoners of war died there, and now countless stories of shadowy figures, doors slamming and other unexplained events lead some paranormal investigators to believe that the fort is haunted by the spirits of former inhabitants. 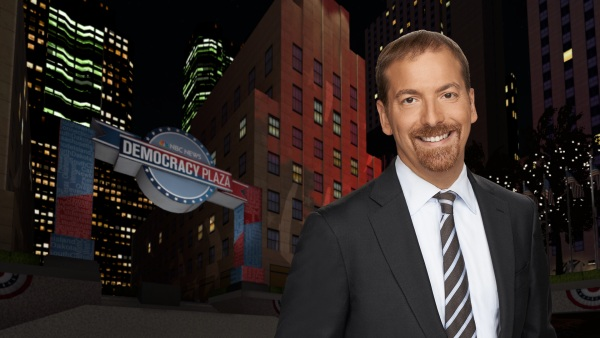 Virtual Democracy Plaza, an extension of NBC News’ Presidential Election headquarters, is hosting a free virtual reality event with "Meet the Press" moderator Chuck Todd. He'll break down the latest polls and the top races to watch on Election Day in a conversation with NBC News editor Carrie Dann. It'll take place Nov. 2 at 7 p.m. ET. RSVP here. Tweet your questions with the hashtag #MTPinVR. How to join:For the full VR experience, attend the events via the AltspaceVR app on the Oculus Rift, HTC Vive or Samsung Gear VR. For the 2-D experience, join using a PC or Mac computer. All these event will stream on AltspaceVR’s YouTube account. MSNBC's Steve Kornacki joined visitors in Virtual Democracy Plaza to analyze the latest presidential election polling after the first debate and to chat about battleground states. RSVP for future VR events here, and watch the full event below.